Long back in 2013, Canonical, the company which introduced Ubuntu OS, has come with an innovative idea called Convergence. The idea is that with Convergence Technology, we will require just one computing device instead of having many. In other words your handset can be converged into a desktop or laptop or any other kind of portable device. 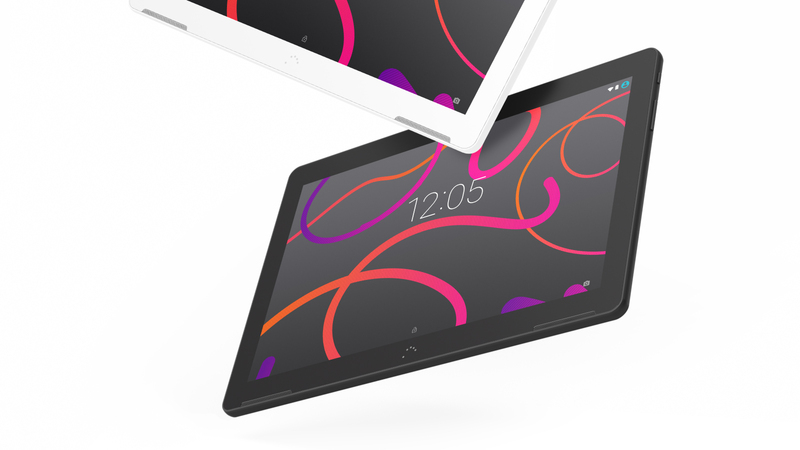 Now in 2016, with the same vision they have launched a tablet which is named as Aquaris M10. This 10.1 inched tablet can be easily transformed into a fully functional Ubuntu PC with the help of certain additional accessories. I would like to get you know about the specifics and other additional details regarding this new tab. Aquaris M10 measures to be 246*171*8.2mm and is having a weight of 470grams. Unfortunately this device doesn’t supports SIM card. The display type is characterized by Capacitive Touchscreen supported by 16 Multi colours. The display comes to be 10.1 inches edge to edge with a screen resolution of 800*1280 pixels. The display supports multi-touch at the rate of upto 10 fingers at a time. The display is protected by Asahi Dragontail glass which is considered as a strong rival of Gorilla Glass. The chipset of the device comes from MediaTek with its model MT8163B. It is a Quad-Core processor that clocks at a speed of 1.3GHz. The graphics of the processor is supported by Mali-T720MP2. The OS supported on the tab is Android OS of v5.1 Lollipop. The device is loaded with a RAM of 2GB and sports an internal storage of 16GB. External storage is supported by way of microSD memory card upto 64GB. The main snapper is loaded with a lens of 5MP supporting video recording at 1080 pixels resolution. The front cam features a 2MP lens. On communication end, Aquaris M10 supports WiFi connectivity with a bandwidth of 802.11b/g/n. Apart from that the tablet also supports Bluetooth v4.0, GPS and USB v2.0. The device is powered by irremovable Li-Po battery that has a capacity of 7280mAh which can keep your device live upto 10 hours with multimedia and upto 60 hours with music. Hardware may be not so great as you find on other flagship devices, but the main focus is on its software. Aquaris M10 is the first ever Ubuntu device to function on mobile version of OS supported by Convergence Technology. The Ubuntu OS do not have any home screen and app drawers but have scopes – screens that collect information from applications. The taskbar contains certain attached applications which can be opened by tapping in from the left. If you perform a swipe from the right, this will load a windows showing latest applications that you have recently opened. Ubuntu mobile version of OS has got an extra advantage when compared to iOS and Android that both mobile and desktop version of Ubuntu OS functions on the same core. This provides the way for running applications in both mobiles devices and desktop devices without any compromise. For instance the programs like LibreOffice functions nicely on mobiles as well as in desktops. Ubuntu can blend in perfectly with Convergence Technology due to this same Core for both types of devices. The device is available in two colour variants of Black and White. Canonical has already launched the device to the market. Let us wait for the tech world’s response for the new Convergence idea proposed by Canonical.